Here’s an unofficial SNES (well, Super Famicom) theme for the Nintendo Switch that looks incredible. Made by Pop Skin, it covers everything. The base, the Joy-Cons, their backs, even the Switch itself. Because it’s a skin and not a paintjob, there are naturally going to be some rough edges, particularly at the points where there are curved surfaces. But like...come on. 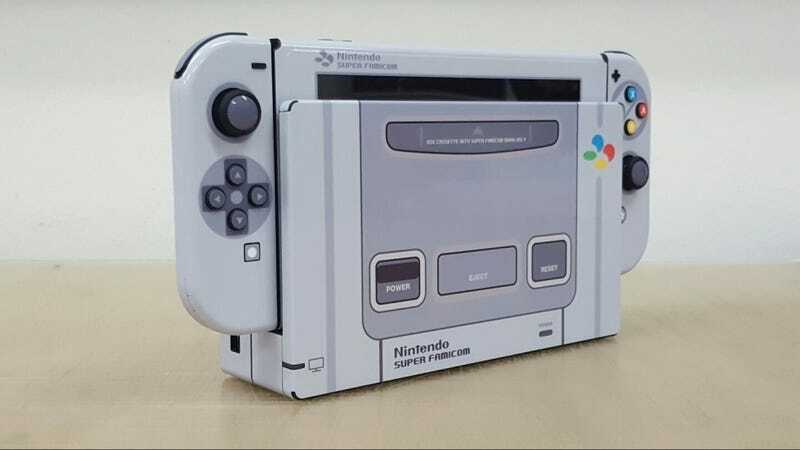 As someone who thinks the JP/PAL Super Nintendo is one of the best-looking pieces of video game hardware of all time, seeing this only has me hoping Nintendo go ahead and release an official version of this. Note: post updated to correct creator’s details.